Mohabbat – E – Taj Show. Enjoy an evening at the ‘Mohabbat The Taj’ show on this Agra experience. Travel to the Kalakriti Cultural and Convention Center and watch this popular show: a retelling of the Taj Mahal’s story. Be swept up by the dance, music, and songs as you learn how the love between the Emperor Shah Jahan and his wife Mumtaz inspired the Taj. Experience the bold flavors of India in this Agra Cooking Class that puts travelers in touch with the lifestyle and traditions that are typical of India. Learn about local life, arranged marriages and the value of family as your hear personal stories and learn to cook traditional Indian cuisine with a local family. 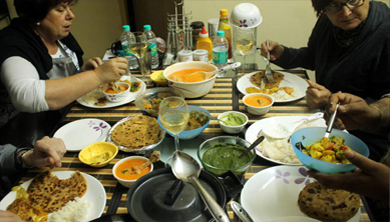 Dine in the comfort of their Agra home and share a meal as new friends. 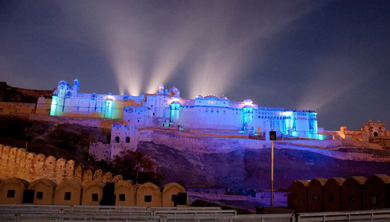 Sound & Light Show at Agra Fort. Within the Fort there are a number of exquisite buildings, including Moti Masjid, Diwaan-e-Aam, Diwaan-e-Khaas and Musamman Burj, where Emperor Shah Jahan was kept during his imprisonment. Jahangir’s Palace, Khaas Mahal and Sheesh Mahal are the other important monuments inside the Fort. UP Tourism organizes Light and Sound Show which provides an insight into the history of the monument, which is a visual delight. Taj Mahal by Full Moon. Night viewing of Taj Mahal is available on five days in a month i.e. on full moon night and two nights before and two after the full moon. 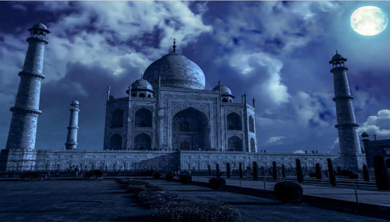 Tickets are available 24 hours (1 day) before Night Viewing of the Taj between 10 A.M. to 6 P.M. Timing: is from 20:30 hrs. – 00.30 hrs. In 8 batches of max. 50 people each. Time duration for each batch is half an hour (30 minutes). Sunset Visit of Taj Mahal from Mehtab Bagh. Directly across the Yamuna River from the Taj Mahal, Mehtab Bagh (Moonlight Garden) offers a stunning perspective on Agra’s most beloved monument. While the views are the big draw of this 16th-century garden, it’s also worth a visit in its own right for its elegant landscape design and quiet ambiance. Early morning Bicycle Tour of Agra. folk art, crafts, legends, music and dance. The destinations on this tour have been reviewed and hand-picked by our team for the value it offers in terms of natural beauty, safety, accessibility, cultural activities and traditional practices followed by the people there. We will explore the countryside to the east of Taj Mahal. On our way to the village, we will visit several local industries and activities as well as a school, where we will learn about education in villages. At the village we will interact with a local family and then walk around the village and the surrounding area. 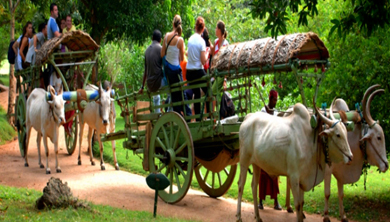 You will be taken to Kachhpura Village around Taj Mahal. 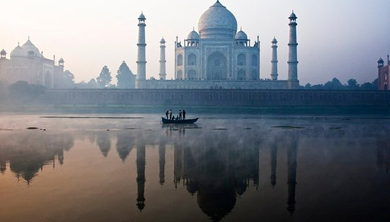 It takes place on the riverside opposite the Taj Mahal, goes through Kachhpura village, and ends at Mehtab Bagh. The Mughal Heritage Walk is a community-based tourism initiative that was started to help villagers make an income from tourism and improve their living conditions. This 1 kilometer (0.6 mile) walk is conducted by villagers who have been trained as tour guides. You will be glad to experience this heritage walk and interact with the locals and see how they have been living for ages. There is also a memorable surprise to see other monuments that are not famous as the Taj but dates from the same period. Agra Chaat Gali Food Testing Evening Tour. joints in the city. All the food items have been personally tested and are as safe as possible. It is a walking tour of Agra city in which you will visit walk around some non-touristy markets of Agra city and taste some of the best local food dishes. The food served in this food walk is equivalent to one meal plus various snacks served during a duration of 3-4 hours. 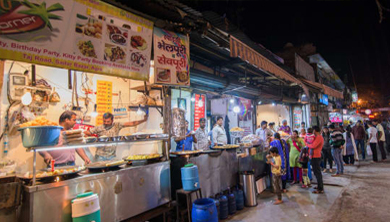 We visit around 7-9 different food places and taste the authentic local street food of Agra and a full meal for dinner. This food tour can be enjoyed by vegetarians as well as non-vegetarians.